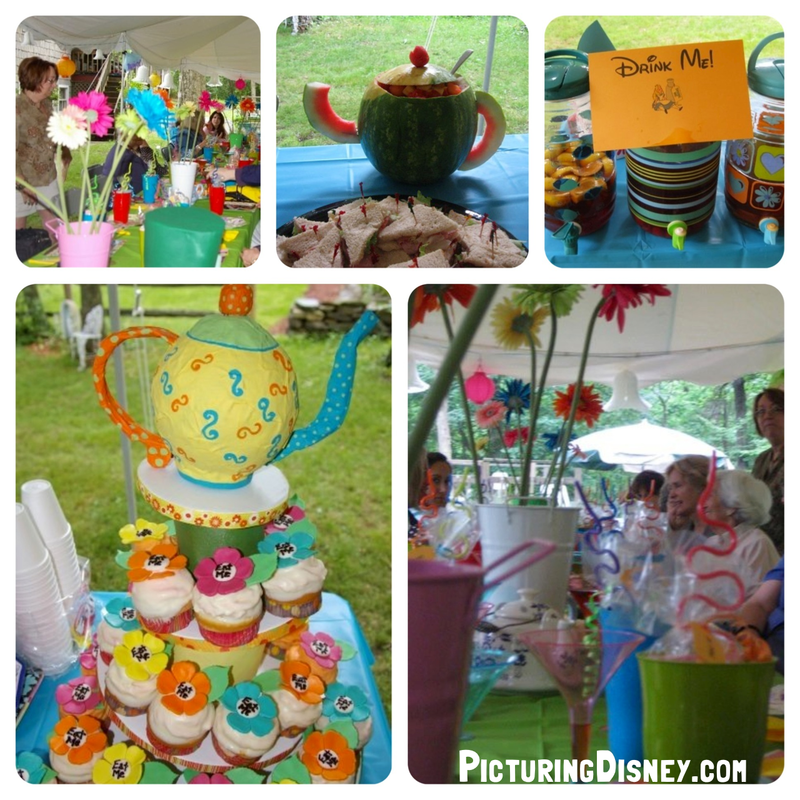 Picturing Disney: Very Merry Unbirthday Alice in Wonderland Giveaway! Very Merry Unbirthday Alice in Wonderland Giveaway! I've been trying to schedule posts that people have requested of me over this summer. One of the biggest hits I have gotten lately are my wedding table numbers, the Cinderella inspired parts of my engagement party/wedding, and my other party posts. Although these posts were short I have gotten a lot of requests for where I found some of the little touches for the wedding (and even some thank yous from readers who used the same father/daughter song I did or picked up the same cake topper after seeing my post) so I updated them both a few weeks ago. It got me thinking about how themed party planning has really blown up in the past few years so I updated more than just my original posts about weddings and decided to revamp the party posts I have put up in the past! Over the next week I will be posting about having a Mad Hatter Tea Party, a Ratatouille themed birthday, and even some mickey cake ideas! But you know me, and I CAN NOT resist an excuse for a giveaway!!! Simply, send me your best unbirthday party picture! You can either email picturingdisney@gmail.com or tag me in your pic on Instagram (@picturingdisney) and mention me in a comment on the picture! Make sure you send/post them by midnight September 15th!